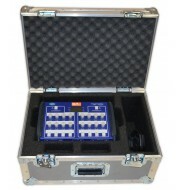 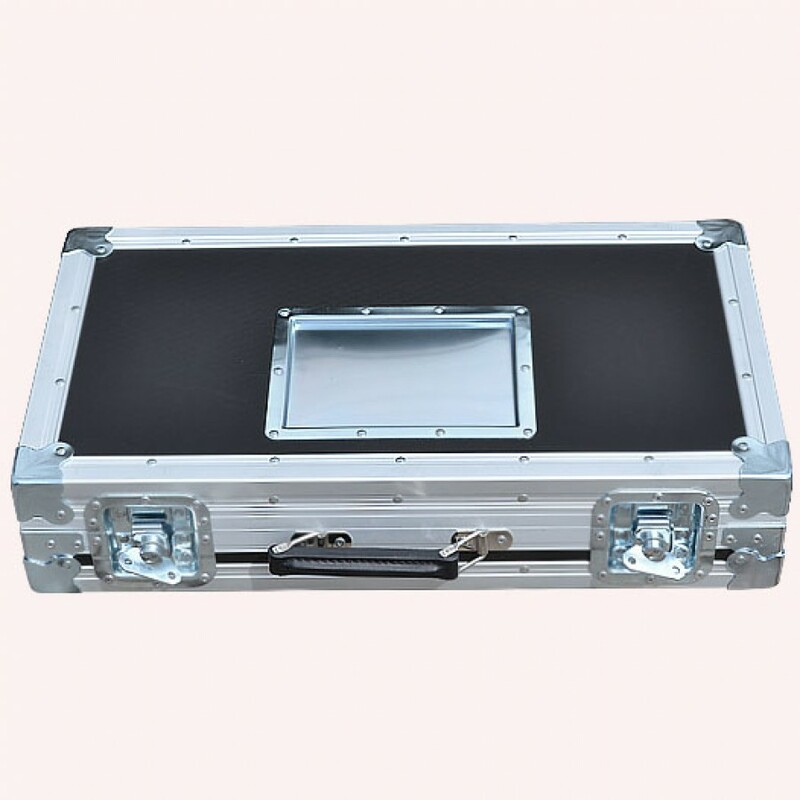 This stylish slimline flight case is designed in a briefcase style to accommodate an Extron XTP FT HD Transmitter. The case is constructed using light Astroboard plastic which is bonded with a smooth black laminate to complete the attractive appearance. 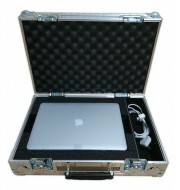 Reinforced with aluminium edging, this case is impressively strong as well as lightweight. 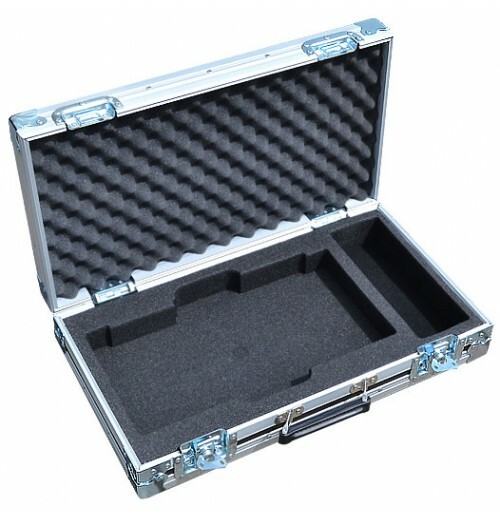 The internal elements of the case consist of a foam insert designed to hold the Extron transmitter and a compartment to house the cables. 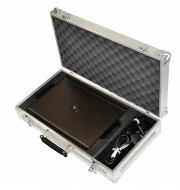 Other notable features are the leather handle and a tour label dish.